Apps for Expats – Or Anyone Who Wants to Communicate (For Free!) 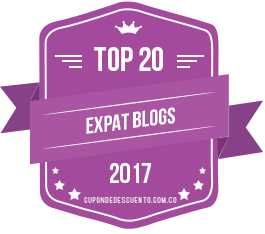 Internationally | Barranquilla or Bust! Author’s Update, 2/12/14: It’s been over a year since I wrote the below post. While most of the recommendations stand true, I’ve switched from using magicJack as my primary phone for international calls to Skype. magicJack still works as described, but overall Skype connections have been more reliable and clear. Check back soon for Apps for Expats II, with more input and suggestions! Ask anyone who’s moved abroad or traveled for extended periods and they’ll agree: staying in touch with folks back home is one of the keys to adjusting to a new life. For those with friends and family in another country, being able to communicate easily can make the distance seem a little less. WhatsApp – This little beauty allows you to text mobile-to-mobile for free. The texts beep when they come in, just like regular text messages. As with Blackberry Messenger, the texts appear as conversations, so it’s easy to see the history. The app allows users to send photos, too. In addition, the app shows you whether the person you are contacting is online (or if not, what time they were last online), if they are typing, etc. – so that you can have some idea of whether to expect an immediate response. WhatsApp also allows users to display a status, e.g., “In a movie,” if they so desire. Viber – Viber works similarly to WhatsApp when it comes to messaging, though Viber’s capabilities are more expansive. Viber supports sending texts, photos, and video. The user interface is a little too busy and garish for my taste – I prefer WhatsApp for just plain text messaging. However, unlike WhatsApp, Viber also allows you to make actual, free phone calls to other Viber users. This means that I can call my mom in the U.S. for free from my cell phone in Colombia. I will confess that I don’t make too much use of this calling function because, unfortunately, both users need to be connected to very high-speed internet in order to have good call quality. Still, in a pinch, it’s nice to be able to make that emergency international call for free from a cell phone. NPR News – Oh, NPR, how I love you. Yes, I am addicted. When we first moved to Barranquilla, I went through some serious withdrawal – and then I discovered this app. I can access a huge list of member stations and listen live. Even better, I can select the show I’d like to listen to – for example, Morning Edition – and click on “Find Live Stream” and get a list of stations currently airing Morning Edition. Because of time zone differences, this means I can listen to the program I want at virtually any time of the day! Hawaii’s NPR member station airs Morning Edition pretty late in the day if you’re on Eastern Time. And since I can get all this over my cell phone, I can literally put NPR in my pocket and annoy my husband by walking around the house with it playing on the speaker… but I digress. magicJack – If you live abroad or have friends/family in another country and want to talk on the phone regularly, you must get magicJack. It really is magic, I swear. You buy this rectangular gizmo that plugs into either your computer or your modem. (In the latter case, you don’t even have to have your computer running to make/receive calls – magic, I tell you!). 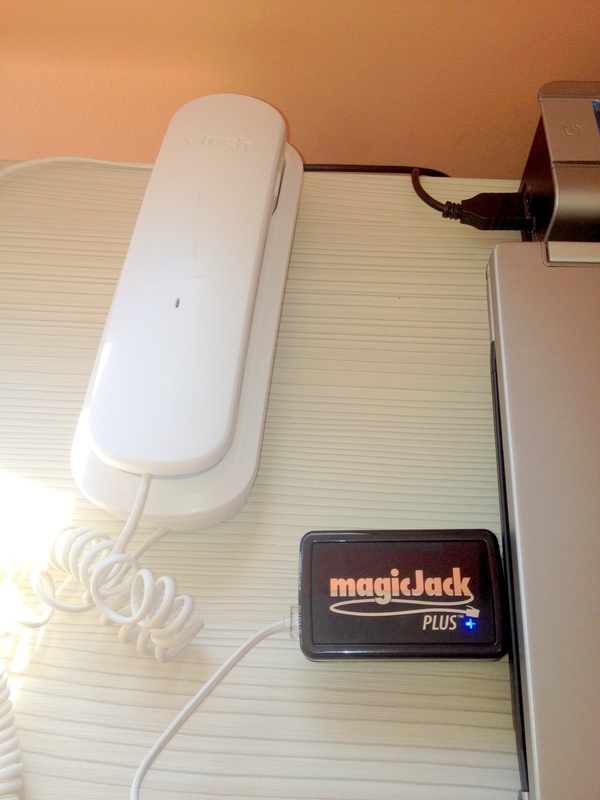 Then you plug a regular old phone – cheap and crappy or cordless and fancy – into the little magicJack gizmo and BAM! you can make totally free phone calls over the internet and receive totally free phone calls to a U.S. number that you set up for yourself. For example, my husband and I have Miami phone numbers, so people can call us just as if we were in Miami. The only cost is the one-time hardware purchase ($60-ish U.S., I think). You might have to also purchase some very cheap minutes if you plan to dial into one of those free conference call lines in the U.S. – for some reason, magicJack makes you pay for that – but otherwise, it’s totally free. It’s also fairly portable as long as you don’t mind packing a regular telephone with your laptop. That way, if everyone gets used to calling your magicJack number, you can take it with you when you travel back to the U.S. or elsewhere. You do need a relatively high-speed internet connection, but since you’ll likely be using MagicJack from the comfort of your home or hotel, this is less of a problem. I am no techie, so I’m almost definitely under-utilizing the above goodies. Plus, I’m sure there are other great apps out there; I wouldn’t have known about three of these if someone (Michele! Gio!) hadn’t told me. So… if you straddle the border between two countries, please let me know what apps help you communicate and keep informed. I know I’ll thank you for it! 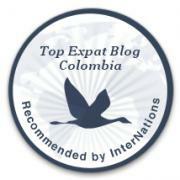 This entry was posted in Daily Life, Technology and tagged adventure, app, barranquilla, Colombia, expat, international, Latin America, magicjack, npr, technology, travel, viber, whatsapp. Bookmark the permalink. This is funny….I ordered Magic Jack yesterday! (I currently have Vonage but I figure Magic Jack is cheaper and we rarely use our home phone). And then today I read your blog. I’ll give you feedback once I get it. I have Whatsapp but I didn’t know it works with international phone numbers. How do I do this? THanks for the info! Hi Rosalind! Definitely let me know how magicJack works for you! As for WhatsApp, I think what you’ll need to do is, in your phone’s contact list, store the full international numbers of the people that you want to text in WhatsApp. For example, I think you’ll need to put +011 and then the country code, area code (if there is one) and number. Then open WhatsApp and refresh your contacts in WhatsApp the way Michele describes. You should see the person come up there and you should be able to message them. If that doesn’t work, ask them to do the same process in their phone, but entering your US number as +1 area code and number. Let me know if it works for you! Whatsapp has really been a blessing for me when it comes to connecting with people outside of Colombia – especially in the sense that sometimes I just want to say “hey, thinking of you and missing you” but I don’t really have the time to talk forever. Magic Jack is great too but (and maybe yours is different, I’ve had mine for almost 3 years now) after the first year the subscription ran out. No big deal though I got another 5 years for 50 USD which is totally reasonable. It’s perfect for bothering my sister in the middle of her work day with a random anecdote! Oh! I also use Voxer! It works like a walkie talkie and you can also send pics and text too. I know its free for the android (as is whatsapp) and think it’s free for the iphone (unlike whatsapp). It’s also fun to call my sister at work when I hear a song and I want her patients to hear me singing it to her. Some day she will learn not to click on my Voxer messages while she’s working but until then…..
Voxer! That’s it! I knew you had mentioned a third app the very first time that we met, but I couldn’t remember what it was. Yay, now I know! Thanks, Michele, for educating me on all these! I love whatsapp, it’s great when I just want to say “hey, thinking of you and missing you” but not talk forever. For international calls all you need to do is put the country code before the number in your contact list. For example everyone I have stored with US numbers is +1 area code and the number, then just refresh your whatsapp contacts and they should be there, it also works with your facebook contacts if you link the two together. Magic Jack is great too, again allowing me to harass my family members in the middle of their cold, snowy work days to tell them how unbelievably hot it is here. Maybe yours is different (I’ve had mine quite a few years now) but when I bought the hardware I got one year of service free and then I had to purchase an additional year/s. It was still incredibly affordable though, I chose the 5 years for 50 USD and it’s also nice that the program actually reminds you that your “membership” is going to expire. The voicemail is also free and goes straight to your email so you don’t actually have to put any effort into finding the magic jack to listen to it…. I’m so lazy. Wow, I wish I understood anything that you wrote. It would probably come in handy. Hi Constance! Apologies for my delayed reply to your comment…. The best thing I can recommend is MagicJack if you guys don’t have one. Cheap to buy, and it’ll let you use a regular old phone and a regular old computer with internet to make and receive free calls to the U.S. Very nice, and super easy to use. Hope you’re doing well! Hi Virginia! Thanks so much for taking time to read this post. I would think the Magic Jack you have will still work… we have two, and one of them is really old. If I recall correctly, some of the older ones only work if they are plugged into a computer that is left on. With the newer ones, they are plugged directly into your router or internet connection (I can’t remember which right off) and work regardless of whether the computer is awake or asleep. I believe the new ones are called “MagicJack Plus” or something like that. The side of your gizmo may indicate which yours is. As for set up, I will confess that I left that to my husband! I think you can go on their website and set it all up. If you have problems, let me know and Gio can probably answer. All this being said, I will tell you that we now pay $7.99 per month for US phone numbers via Skype. We found the call quality to be better, plus you can put the Skype app on your cell and make/get calls there as well. Good luck, and let me know how it goes! here’s a question? Can I use my Magic Jack # to register with Viber??? Viber requires a Smartphone when used on PC or Tab. I want to give Viber my MJ # to get the required verification code. Will it work?